I love using apple cider vinegar in my recipes. I had no clue that I could make it on my own until I saw an article about it in my local newspaper. It is really simple to make. Really. So simple and easy, you'll slap your forehead and wonder why you ever bought the stuff at the store. 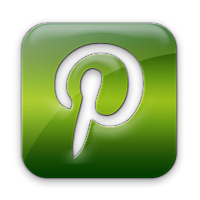 Why make it yourself? 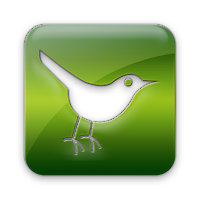 It's easy, inexpensive, with a better taste and higher potency that the store bought stuff. And it's the only way to know it's pure. Many commercial vinegars have been mixed with other vinegars or brewed with wood shavings, to keep costs down. Eeeeeew. Pile 'em into a wide mouth, sterilized glass (no metal) jar and cover with filtered water. Put a piece of cheese cloth on top and secure with a lid or rubber band. You can add scraps to the pile, as they become available. Just keep adding water to cover everything. Label with a date and put it in a cool, dark place. I put it in the cupboard with the drinking glasses, so I'd see it every day. Give it a stir every day with a plastic spoon. Remember, no metal! The apples tend to float and anything exposed to the air will get moldy, unless it's stirred daily. 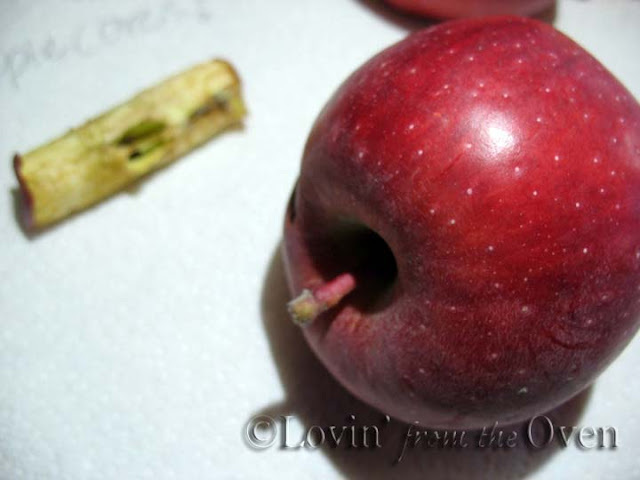 Once the apples have settled below the water line, you can stop stirring. After a couple of days, you will notice it bubbling happily. After a week, you will notice a white-ish goop form on top. This is called the vinegar "mother" and it's the sign of a healthy, living vinegar that's happily fermenting. Don't add any more scraps at this point. It's been almost a month and I can detect a slight, sweet smell of vinegar. After a month, the author suggests tasting once a day to see if it's reached your desired level of strength. The cider is then strained and funneled into a clean, sterilized bottle. She says not to worry about removing every bit of sediment. Store it in a dark, cool place and it will keep indefinitely. 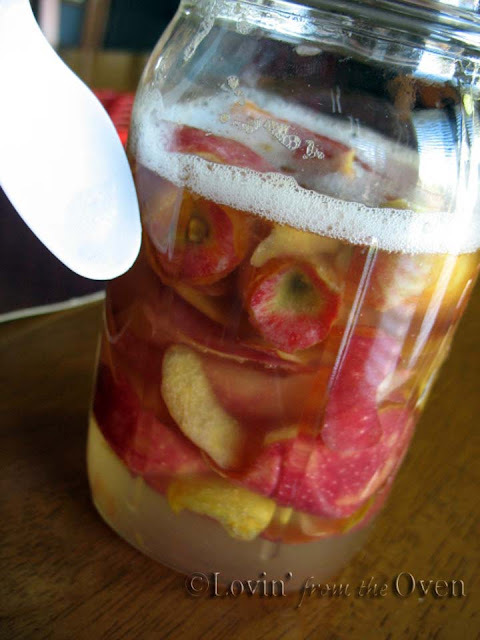 Use your apple peels, cores and stems to make apple cider. It isn't difficult and after a few weeks, you will be able to enjoy apple cider vinegar in many of your recipes. 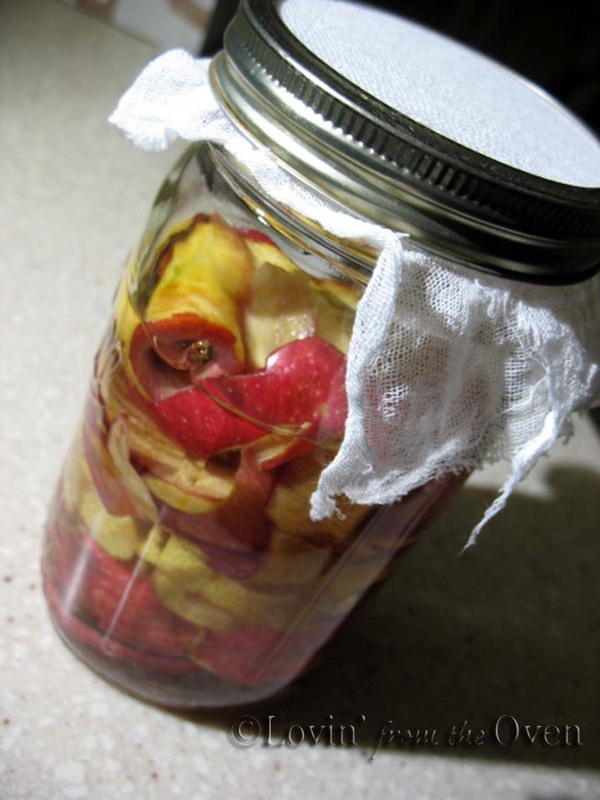 You can add apple scraps to your jar until you see the white layer on top, that is known as the "mother." Don't add any more apple scraps at this point and let your vinegar ferment happily. 1. 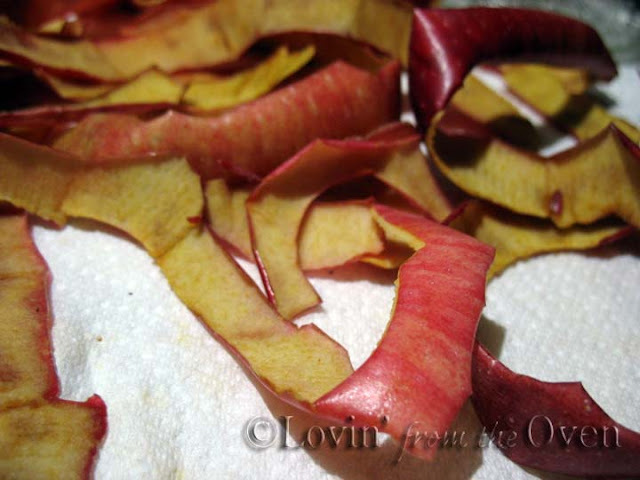 Place apple scraps on a paper towel and let them sit at room temperature until they have turned brown, a day or so.2. Pile the apple scraps into your jar.3. Cover the apple scraps with filtered water.4. Cover the jar with a square of cheesecloth and secure it with the canning ring.5. Put covered jar in a warm, dark place that is between 60°-80°F where you will see it every day.6. Give the vinegar a stir with a plastic spoon every day. After a week, the mixture will become thicker and a white film will form on the top. This is the vinegar "mother" and it means your vinegar is fermenting properly.7. At this point, mark your calendar and check on your vinegar in one month. 8. After one month, take a taste. If you want a stronger vinegar, let it sit longer. When it has reached the strength you want, strain the apple scraps out and pour your vinegar into clean, sterilized bottles. 9. Store your vinegar in a cool, dark place, and it will keep indefinitely. Wow! I never would've guessed. 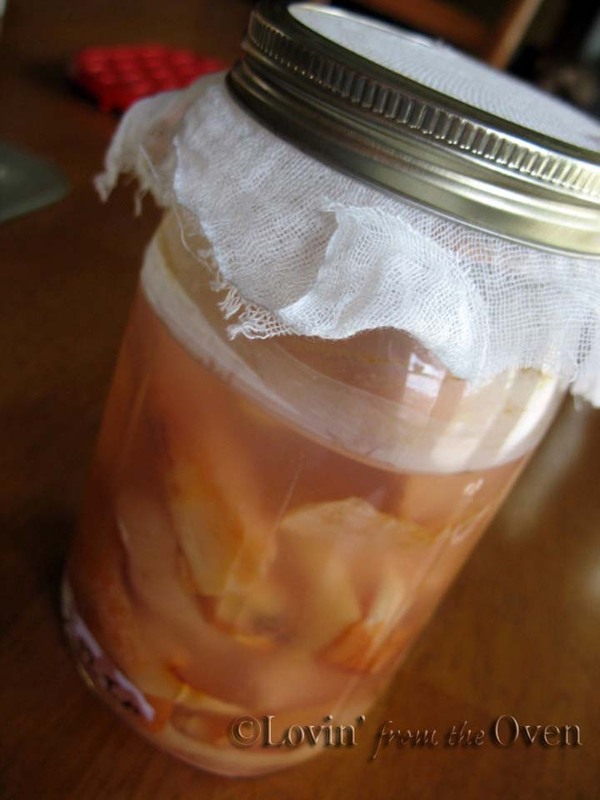 Can you continue adding scraps to the started vinegar? Or keep the mother and put it in another jar? Or do you have to start all over again, for a new batch? Looks super easy, thanks! Nikki, once you have the white goopish mother in your vinegar, you stop adding scraps, which happens during the first week. The mother is kept with your stored vinegar. I would start over again for a new batch. It's not hard at all. Very, very easy! Who knew? I make fruit vinegars and tarragon vinegars but they all start with a commercial vinegar. I am going to try this!! !